Fresh and shimmery, happy salad is a perfect side dish for your lunch. This simple dish will give healthy and happiness into one. Wash all vegetable salad and then cut as direction. 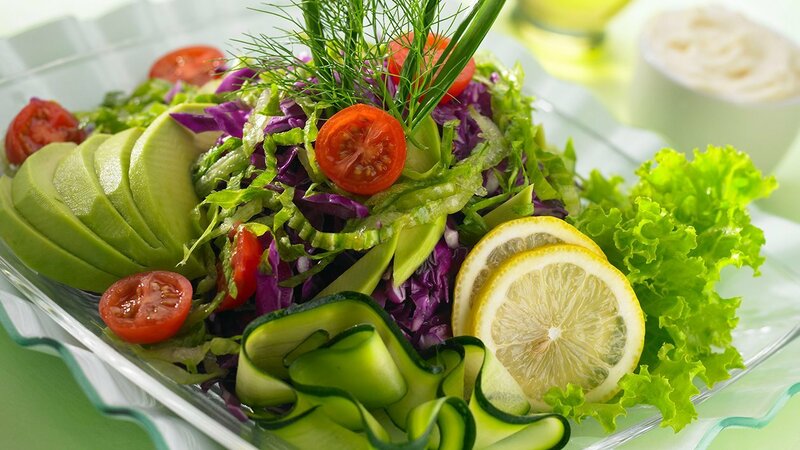 Neatly arrange the salad leaves and other ingredients to your taste. Mix all finely chopped ingredients in a bowl, add mayonnaise and mix them well. Last, pour the simple syrup and Knorr Chicken Powder NAM to enhance the taste of Tartar dressing. Serve separated or just toss the salad with Tartar dressing.